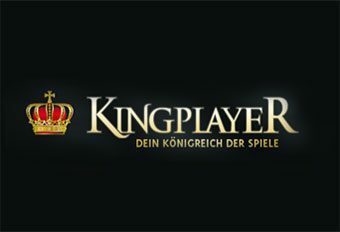 Mainly focused on the German market, but also available in English and Spanish, KingPlayer Casino is monarchy-themed. The casino makes sure that players are treated like royalty, and tailors every player’s desire into one platform. The site is licensed by the government of Malta and the government of Curacao. Created in 2013 in Germany and Malta, KingPlayer has risen to the top of the online casino market. With over 900 different titles available at the casino, incorporating both slots and casino games, there’s a lot for players to choose from. A Live Dealer room and sportsbook is also accessible to players. The casino is currently unavailable in the USA. There are over 600 different classic and video slot titles, ensuring that slot players have plenty to choose from when they visit KingPlayer, from traditional three-reel games to choose from to progressive video slots. The most popular titles include Reel Rush, Game of Thrones, Terminator 2 and Jack Hammer. There is also a variety of virtual table games available, including a number of Blackjack variants, as well as Baccarat and Poker. There’s an eclectic video poker selection available at the casino. Players can find both single and multi-hand variations of numerous poker games, such as Deuces Wild, Joker Wild and Jacks and Better amongst others. There are over 30 different scratch based games on the website as well as keno and bingo. As the casino provides over 900 different titles to players, multiple software producers are needed to deliver such a vast number of games. Microgaming, NetEnt, Betsoft and iSoftBet are just four of the providers used, with others featuring as well. KingPlayer Casino is available on mobile devices, and the casino recognises the growing number of mobile players, adding more and more games to the platform. Players can access the mobile version via an HTML5 compliant browser on their smartphone or tablet. KingPlayer offers to double new players’ first deposits up to £300. In addition to this, players receive 30 free spins on Starburst, one of the most popular slot games available at this moment in time. Apart from this, promotions are lacking in this casino, however a loyalty program is in place. Players receive crowns every time they play. They must earn 200 crowns before exchanging them for real cash or prizes. A number of payment methods are available to players. Visa and MasterCard can both be used with both credit and debit cards. There’s numerous other cards accepted by the casino. E-Wallet methods are also permitted by the casino, with deposits able to be made by NETELLER and Skrill as well as others. Each payment method has its own minimum and maximum transaction limits, meaning players must check before depositing. The entire casino site is protected by an SSL encryption and all games are regularly audited for fairness. A helpful FAQ page is available under the “Contact Us” page on the website. KingPlayer seeks to provide whatever players need and reinforce this with their contact options. During business hours, players can get in contact with the casino via the live chat, which puts them in contact with service representatives within a minute of contact. Outside of business hours, players can fill out an online contact form or send an email, with a response usually received within 24 hours.